New phone is going to be announced. Google is dropping the Nexus line; their new phones will be under the Pixel name. (rumored). Google Home gets a price. $129 is the rumor. The $200 Onhub router is getting dropped and a $129 mesh network router is being added (rumored). What does everyone hope for? I haven't heard much about VR and this event. Hoping the pricing on phones are way less than rumors. I won't spend $650 on a phone. bmyoungs wrote: Source of the post Hoping the pricing on phones are way less than rumors. I won't spend $650 on a phone. Yeah Im not sure what supercharged version means. I don't want too much extra bloat in the software. I agree with bmyoungs. Although I'll probably still get the Pixel (5") because I've grown bored of my 5X. Last edited by simo on Thu Sep 29, 2016 9:00 am, edited 1 time in total. Maybe it has a headphone jack!!!!!! simo wrote: Source of the post I agree with bmyoungs. Although I'll probably still get the Pixel (5") because I've grown board of my 5X. But you have man hands, 5" is small by today's standards, even 5.5" isn't considered huge anymore. Wasn't the last Nexus phone 5.9"? Nexus 6 proper was 5.95"
Tyler wrote: Nexus 6 proper was 5.95"
I'm very eager to see what comes out of this Oct. 4 event, especially regarding pricing of the Pixel and Pixel XL. If the rumored $650 starting point for the Pixel is true, I don't know if I'd get either of them. 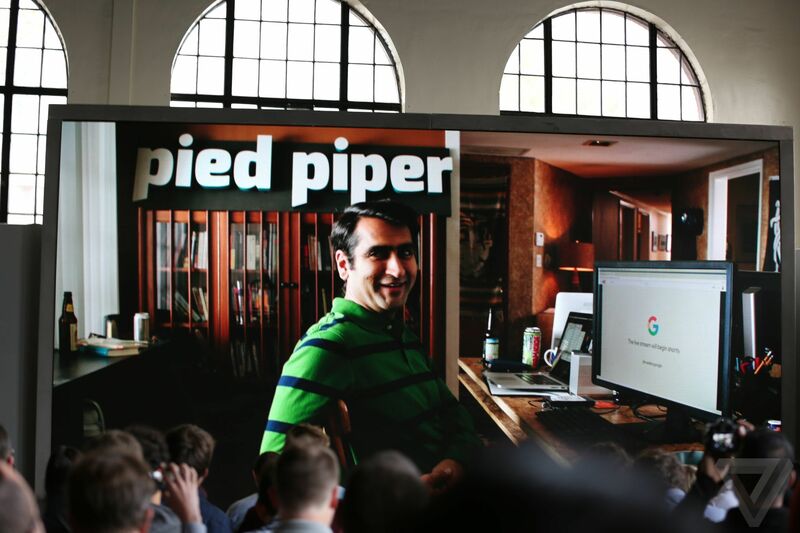 There was a video about the HBO show Silicon Valley and how they are watching the keynote. I want to see that. I'm not paying close attention, but I saw they have a VR headset. Not sure if it is just a fancier Cardboard or if it has more sensors. Tyler wrote: Source of the post Google Home gets a price. $129 is the rumor. This is true. Plus 6 months of Youtube Red....so no benefit? Google Wi-Fi is a $129 router that Google thinks will solve all your problems with home internet. Each router is designed to be used as part of a kit, with a number of routers spread across your home to provide one mesh network. There’s even an app to help manage the network without needing to dive into a settings page. It’s broadly similar to kits from Luma or Eero, but reasonably inexpensive, and with the power of Google’s brand. The router will be available for pre-order in November, shipping in early December. The single router costs $129, and a three-pack is $299. Its all very cool but I can't justify the price on any of it. bmyoungs wrote: Source of the post Its all very cool but I can't justify the price on any of it. Three big things for me. 3) Google's knowledge graph is going to be bigger than Echos. I think with home automation one doesn't beat the other. Echo does have daily Jeopardy! though...I hope Google has a gimmick like that.